REDWOOD CITY, Calif. – September 6, 2018 – The Global Climate Action Summit to be held September 12-14 in San Francisco will delve into transformational change taking place in the U.S. energy sector, including the impact of Community Choice Aggregation agencies on electricity customers and renewable resources. “High on our interest list is how CCAs are answering the critical need to invest in new renewable resources for their own power portfolios,” said Jan Pepper, Peninsula Clean Energy’s CEO. “PCE is addressing that need,” said Pepper, who was instrumental in creating the green power exchange in California in the 1990s resulting in the first RECs (Renewable Energy Certificates), a process that evolved into today’s currency for trading renewable power. 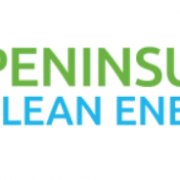 Peninsula Clean Energy begins construction October 11 on the largest new solar facility in California underwritten by and for a specific CCA. Pepper, recipient of the Green Power Leader of the Year in 2017 by the US EPA and the Center for Resource Solutions, is available for interviews prior to and during the Global Climate Action Summit.